I have just spoken to you on the telephone regarding a house clearance in Berwick Upon Tweed. 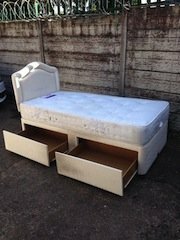 We would like everything removing from the property and I could post a key to you if you can let me know where to send it. The key can then posted back through the letterbox as we have a second one. Please clear everything in the house including all carpets also there are item in the garage and shed. I would like the house to be cleared on Friday if possible, but as we live in Lancaster England myself or my husband will not be present on the day. 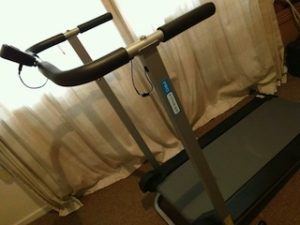 A pro fitness manual grey and black treadmill. 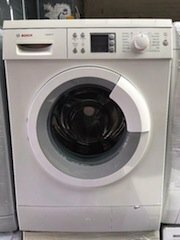 A white under counter Bosch Logix 8kg 1400 spin washing machine. 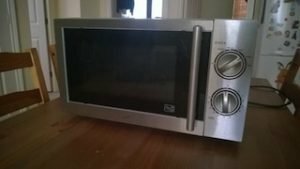 A Logik chrome 7002 20L counter top microwave oven. 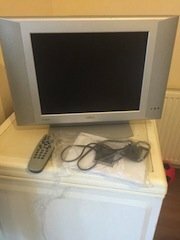 A silver 15 inch Phillips LCD television and remote. 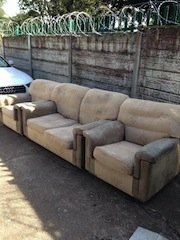 A three piece sofa suite, comprises of a two seater sofa and two matching armchairs. 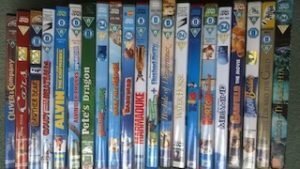 A collection of children’s DVD’s, to include Alvin and the chipmunks, Cars, Pete’s dragon etc. A black faux leather single bed frame and headboard, together with a single mattress. 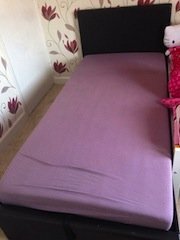 A single two drawer divan bed base, together with a single mattress and cream headboard. 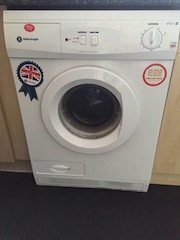 A white Knight 7Kg condenser tumble dryer. 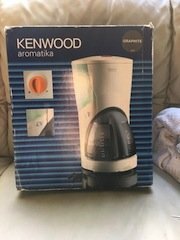 A brand new boxed Kenwood Aromatika graphite coffee machine. 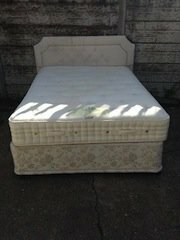 A double two drawer floral patterned divan bed base, together with a double mattress and cream buttoned headboard. 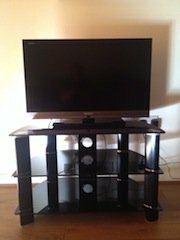 A black Sony 40 inch flat screen television, together with a black glass three shelf unit. 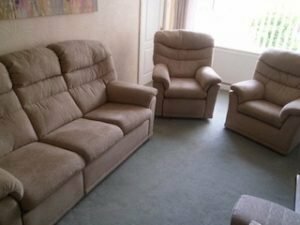 A three piece G plan reclining sofa suite, includes a three seater high back sofa and two matching armchairs. 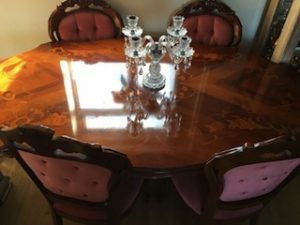 A vintage italian carved edge dining table, together with six heavily carved dining chairs, upholstered to the seats and backrests in pink velour, with button back. 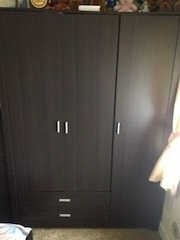 A tall standing chocolate brown wooden triple wardrobe, having a double wardrobe above two drawers and a single to the side. A collection of six Monster High children’s DVD’s.